Be Physically Ready for Duty- Your Daily Fitness Checkoffs. 1. Drink some water. Around most firehouses (and offices) the day and the shift starts with some coffee. We all need a pick-me-up from time to time but before you reach for that second cup, have some water. Water is the center of all metabolic processes, the more hydrated you are the better your performance. 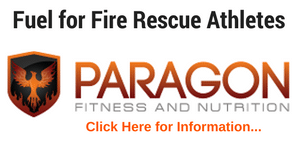 Progressive dehydration from exercise (or fire ground operations) impairs performance, mental capacity, perception of effort and can be life-threatening. With as little as a 2% body water shortage, the ability to perform a high intensity activity can be greatly impaired. Translate that on to the fire ground could mean death or injury to you or a crew member because your performance is greatly reduced. Try to drink at least 64 ounces a day, more if you are very active or its hot out. Click here for some great hydration guidelines. 2. Foam Roll. Foam rolling is a quick and easy way to combat the the sprains and strains of the job. A foam roller is a 3ft. long by 6in. piece of compressed foam. The idea here is that you roll your body weight along the foam roller, massaging through restrictions (adhesions) that may occur in your muscles (especially those of the back) and thus causing the nerves and muscles to relax and loosen. This allows blood to flow more freely through the muscles and allow muscles to heal and repair more efficiently. There is no universal agreement on when to roll, how often to roll, or how long to roll, but generally, techniques are used both before and after a workout (or shift in this case). Personally, I try to use the foam roller anytime my muscles (especially my back) feel tight and sore. 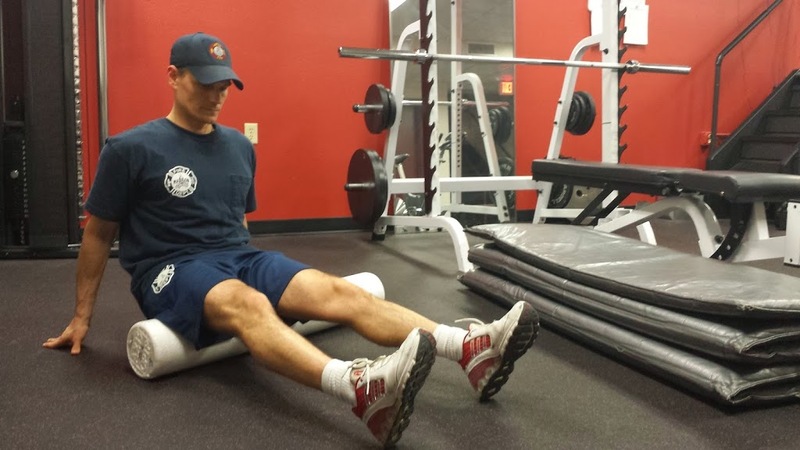 Try to get in the habit of foam rolling at the beginning of your shifts, it will help insure you are “Fit for Duty.” Click here for some great foam rolling tips for fire rescue athletes. 3. Eat like an athlete. Firefighters, EMTs and Medics are fire rescue athletes. We need to fuel our bodies just like we do our trucks and equipment. Try to consume consume whole REAL (lack artificial sweeteners and preservatives) foods that are high in fiber and low in sugar, such as lean protein sources (lean beef, chicken, fish, and whey protein), fruits and vegetables (oranges, apples, strawberries, blueberries, broccoli, peppers, asparagus, carrots, nuts (almonds, cashews, walnuts), and whole grains. Prepare healthy meals and keep the processed cakes and cookies out of the kitchen. 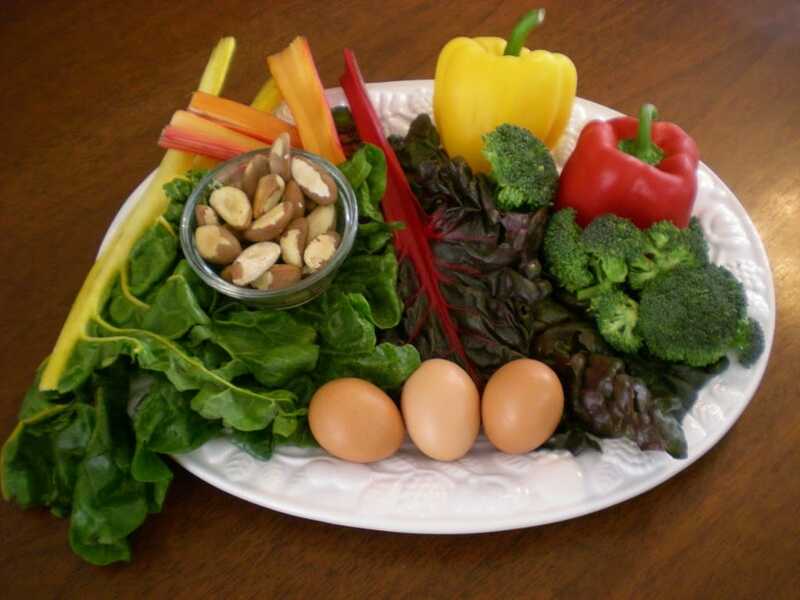 Click here to read about the simple rules of eating healthy. Add these three things to your “Daily Checkoff Sheet.” These three things wont insure that you are physically ready for all the demands of the job but they will help. 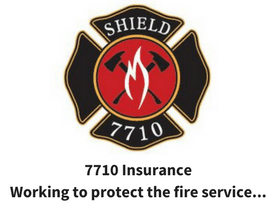 We need to take action everyday, every shift to approach our jobs like the professional occupational athletes we are. (Bonus) #4. 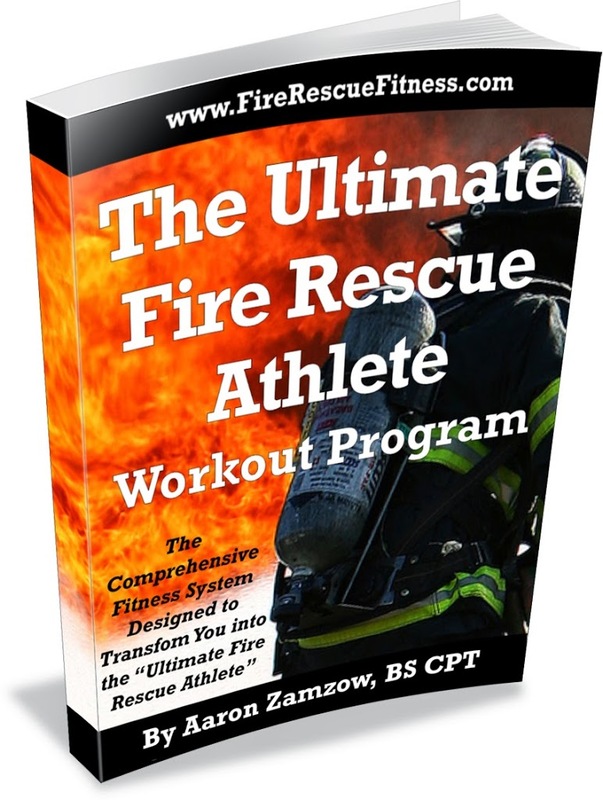 Workout like a Fire Rescue Athlete. The fireground and rescue scene are very physically demanding. 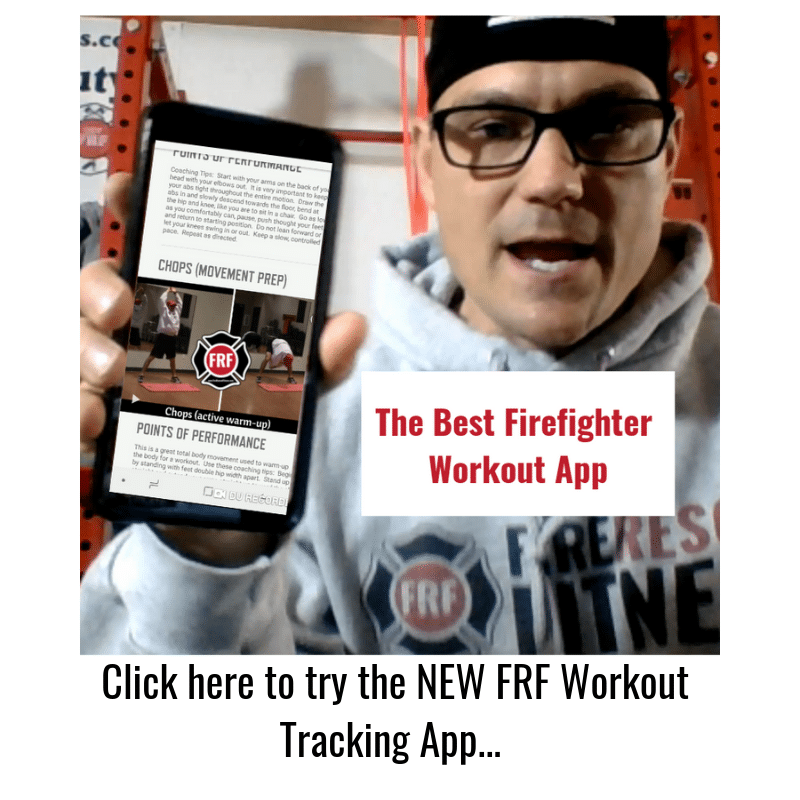 We, as fire rescue athletes need a workout program that caters to the demands of the job-it needs to focus on core strength, injury prevention, cardiovascular fitness, power, strength, weight loss, and get you in the best shape of you life. Is there such a program? Yes, Click here to find out more. Try to do these “checkoffs” everyday, your body and career will thank you!